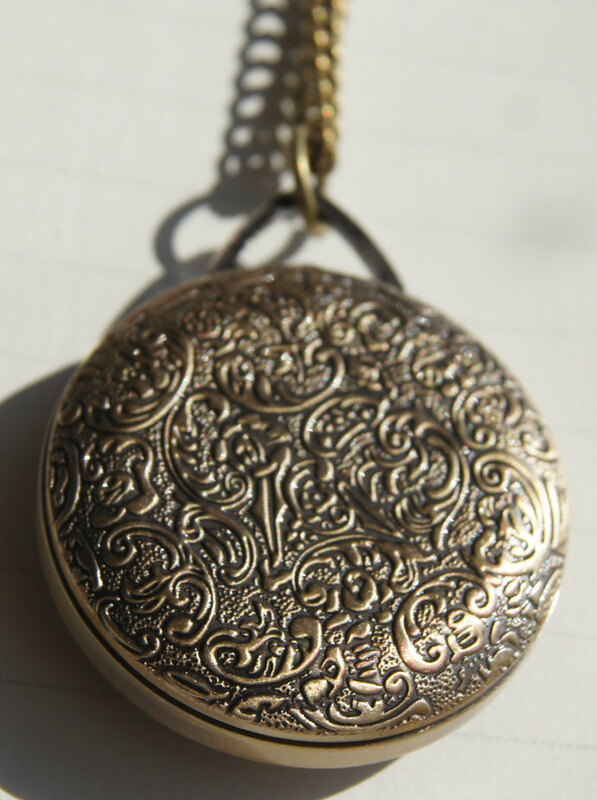 Ladies Vintage Round Antique Brass Fob Watch. Gold Leaf Scroll with black accents. Suspended on a 32 inch antique brass chain, which goes over the head and fall in the centre of the chest. This fashion accessory is bound to please both men and women and anyone on your list. 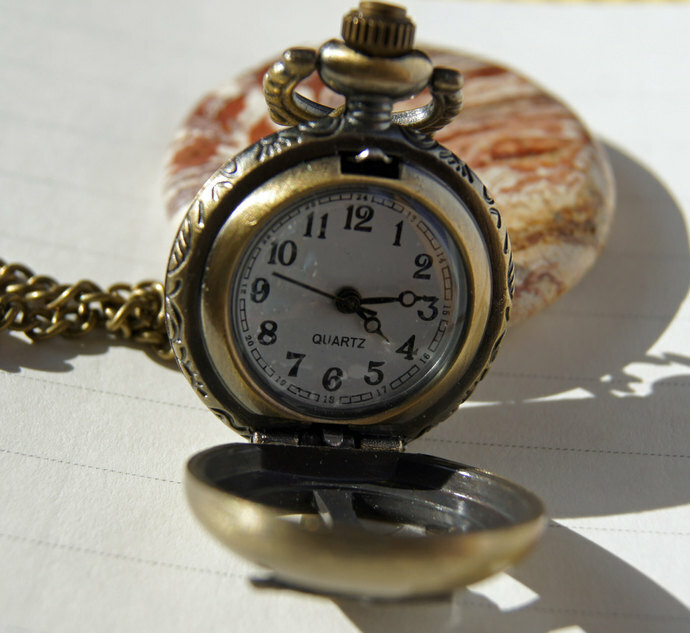 The front of the watch has a V formation at the top where the brass chain slides through. 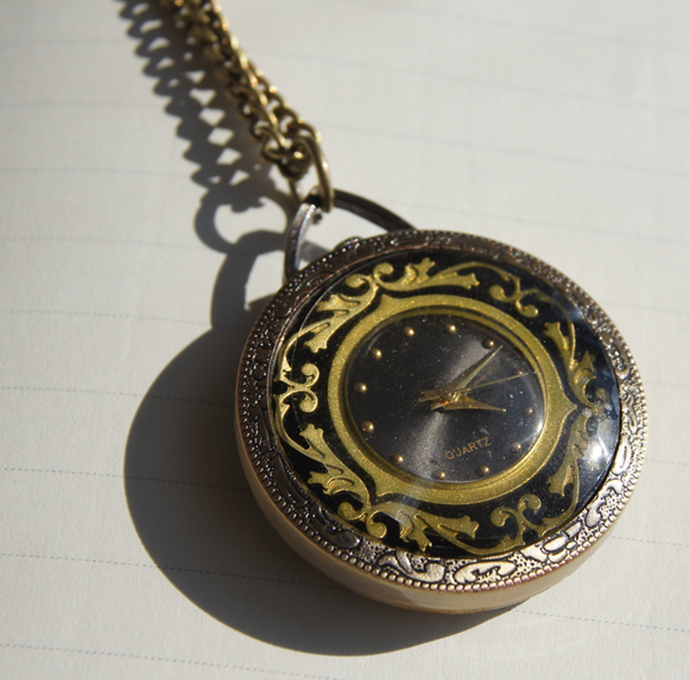 The clock face is beautifully surrounded in gold leaf scroll work with a circular black back ground. The second circle is the actual clock face: with delicate dots marking the hours, with a sweeping second hand. To change the time or active the quartz movement simply lift up the small screw mechanism at the bottom of the V formation. A quartz movement makes it easy to maintain by assurance of accurate time.The back of the watch details scroll work in a Victorian pattern. 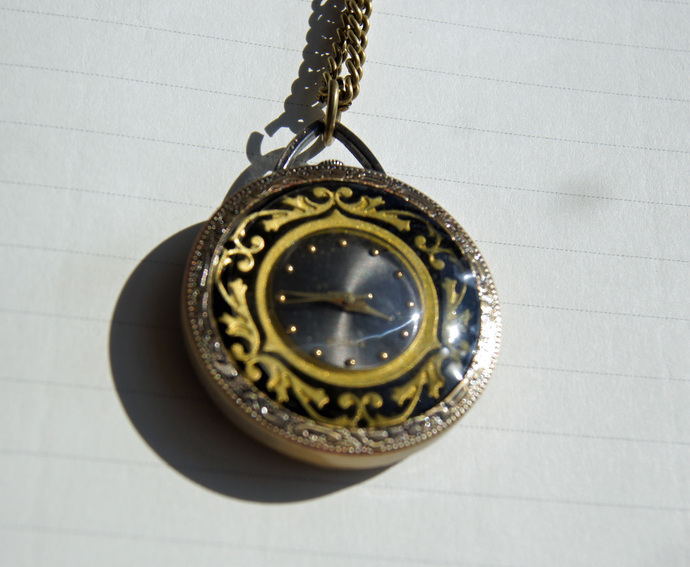 To replace the battery, it is suggested to take to a trained person in watch making or repair or licensed horologist. There is a plastic acrylic circle over the face of the watch, that can be removed upon arrival, this protects the glass from scratching. Measurements: the horizontal width is 1.5 inches (4 cm) x 1.25 (3.0 cm) inches inches in diameter. Millimeter : 42x 34mm. Hypo-allergenic and nickle free. Carefully packaged in bubble wrap and boxed, outside bubble mailer to ensure safe shipment. I will set this in local time, all you have to do is reset it to own time zone. Suitable for a man or woman, teenager, or those that appreciate unique fashion accessory or a person that likes steam punk or vintage. Bring home this timeless piece of conversation wherever you are or travel. This is for one listing. Inspiration: Imagine you are strolling in a Victorian garden, smelling roses. A steam train whistles braking the silence of the moment! 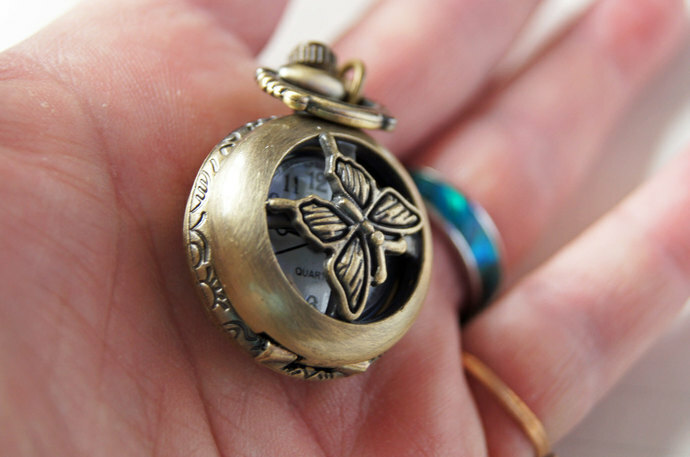 You check your watch at 5.45 p.m. A reminder that the dinner gong will go off for dinner at 6:00.